The company says it plans to add the ability to remotely access local recordings. Arlo Techologies has some good news for system owners considering its Ultra 4K security camera. The company says it's committed to continue offering users the ability to remotely access video recordings without a monthly fee. Arlo Technologies has some good news for system owners considering its Ultra 4K security camera. The company says it’s committed to continue offering users the ability to remotely access video recordings without a monthly fee. That’s great news for smart home owners who want to avoid the ongoing subscription fees charged by competitors such as Ring and Nest for video storage in the cloud. Currently, Arlo is unique in offering a generous seven days of storage in the cloud for free—something that adds up to hundreds of dollars in savings over the life of each camera. 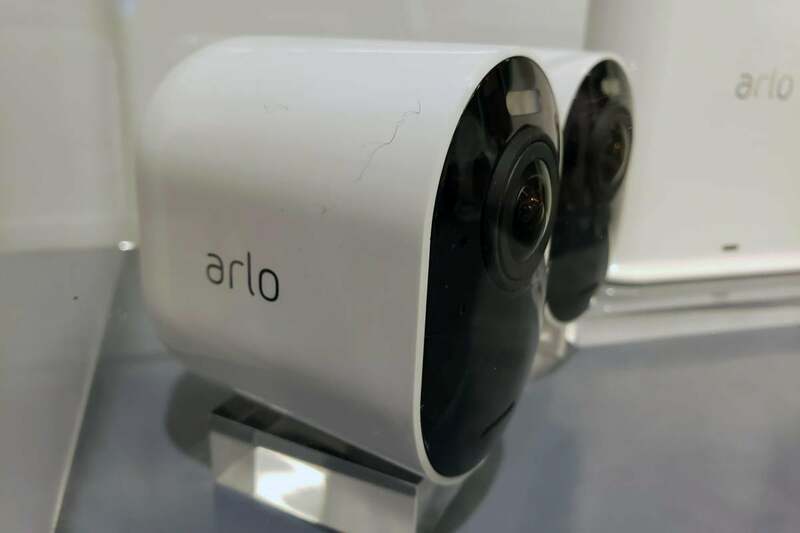 With the Ultra 4K, Arlo previously said the only cloud storage available will be part of its Smart Premier subscription service. The subscription service adds several attractive features, such as the ability to distinguish between people, animals or other motion, so you might want to subscribe anyway. But if you don’t, the Ultra 4K stood to be a lot less useful. You’d be able to livestream from the camera and record clips to an SD card in the base unit, but accessing those recordings could be done only by physically removing the card from the base unit and popping it into a computer or other device with an SD card reader. 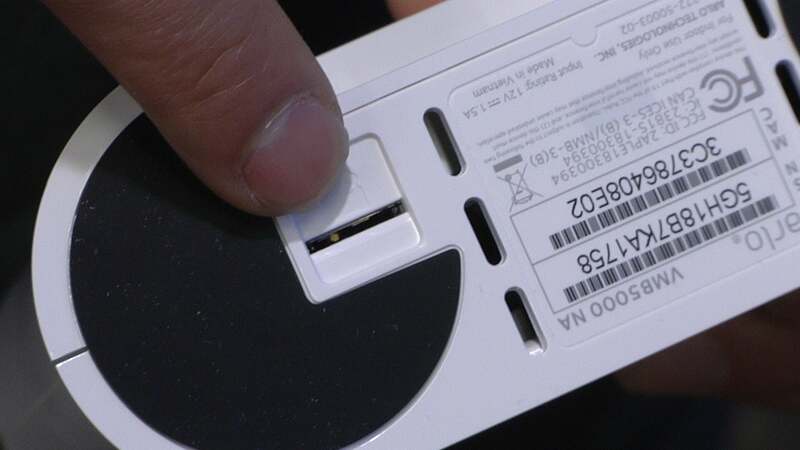 The SD card slot on the bottom of the Arlo base station. On Thursday, Arlo said it’s working to add the ability to remotely access those recordings. 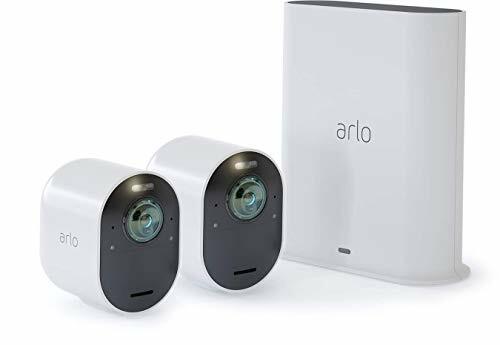 Arlo senior vice president Pat Collins said the company expects this functionality to to be available in the next six to nine months. Arlo is offering Ultra 4K buyers one-year free free trials of its premium subscription service, so that should cover storage until the remote SD card access is rolled out. It’s also good news for consumers with slow or metered internet connections, as the video being recorded will initially stay on the local network, and it’s good for those who want to avoid having sensitive surveillance footage from their home stored in the cloud, outside of their immediate control. The Arlo Ultra 4K is the first 4K security camera from a major smart home vendor and costs $400 bundled with a base station. Packs of between two and six cameras and a base station cost from $600 to $1,700; add-on cameras are priced at $300 each. 4K video stands to offer significantly better resolution than existing high-definition cameras, enabling users to potentially capture more detail of incidents that happen around their home. TechHive will have a full review once we’ve gotten our hands on the new camera.